Whether you are building your new home or simply replacing your existing furnace, you can depend on Dave's Mechanical, LLC., your Ohio heating contractor for reliable, efficient heating solutions that will last you for years to come. Your new furnace will help you comfortably ride out your harshest Ohio winter while you increase the resale value of your home. To give you an idea of what to look for, remember that your furnace's efficiency rating, or AFUE (Annual Fuel Utilization Efficiency), tells you how efficiently your furnace uses fuel (gas or oil). In general, the higher your efficiency %, the less fuel your furnace will use to heat your home. Heat pumps have heating efficiency ratings indicated as an HSPF (Heating Seasonal Performance Factor). In general, the higher your HSPF rating, the less electricity your unit will use to heat your home. Talk to us today and see how easy it can be for you to start enjoying heated comfort at an even more comfortable price from your expert heating contractors in Ohio. 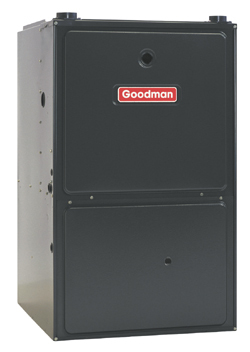 Gas furnaces provide warm, consistent heat for your Ohio home or business by creating and circulating warm air through the duct work of your house and transferred to your house or business. An oil fired warm air furnace uses no.2 fuel oil burned in a sealed chamber to heat an exchanger. Then with the help of a blower or fan, forces air across the exchanger, into ductwork to warm the structure. The basic components of an oil furnace are: the burner, heat exchanger, fire box, blower, and cabinet, sometimes known as the jacket. Accessories that can be installed inside or outside of the oil furnace include: a fan center, an air filter, electronic air cleaner, or high performance media filter, humidifier, and air conditioning evaporator coil . With central air, sometimes a condensate pump will be used to remove the water discharged in the dehumidification action of the air conditioning.